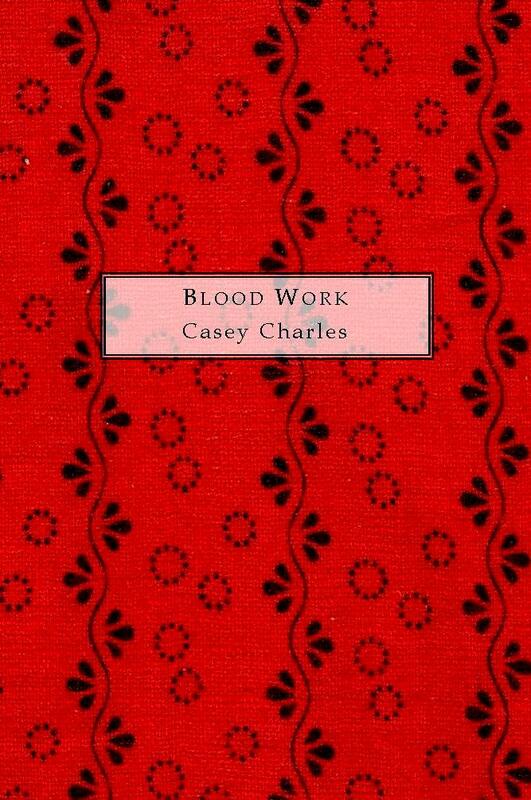 Blood Work: poems by Casey Charles. Number 3 in Volume Three of our limited-edition Summer Kitchen Chapbook Series. Casey Charles teaches Shakespeare as well as lesbian and gay studies at the University of Montana, Missoula. He is the author of The Sharon Kowalski Case: Lesbian and Gay Rights on Trial (2003), Critical Queer Studies: Law, Film, and Fiction in Contemporay America (2012), and The Trials of Christopher Mann, a novel forthcoming in 2013. His first poetry chapbook, Controlled Burn, appeared in 2007 (Pudding House) and he is the winner of the 2010 Washington Square Poetry Award. walk toward horses on a hillside. His car will explode behind him. on your Shuffle. You are looking out the window at your life. cacti and a yellow malaise collar the thirsty plain. rocking on shock absorbers, hijacked by the swell of hills.